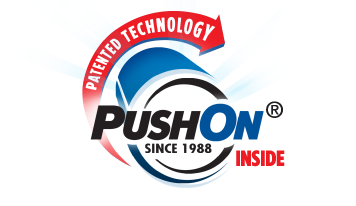 PUSHON® R-SERIES angle stop 1/2" nom. 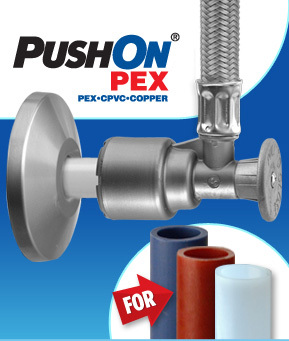 with attached PVC or Braided High Performance Connector x 3/8" comp. nut with escutcheon. 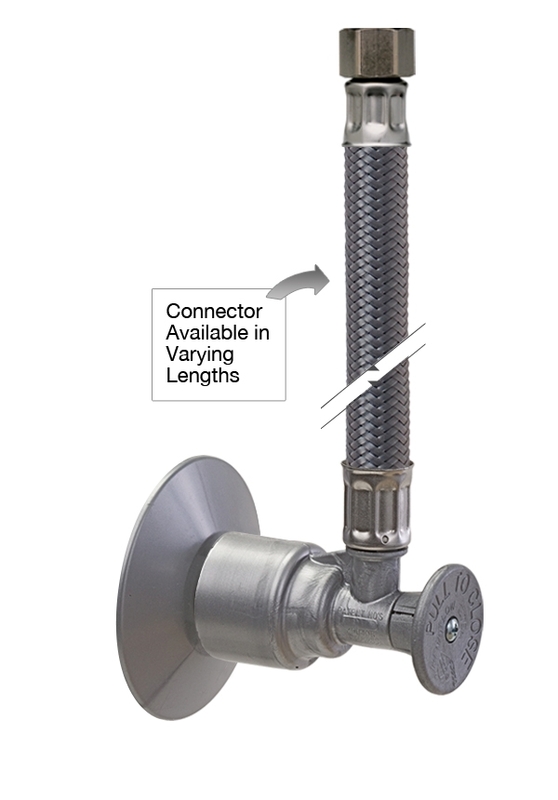 Connector Lengths available: 60", 72", 84". Connector Lengths available: 60" , 72" , 84".